Do I Need Spacered Drums Or No? 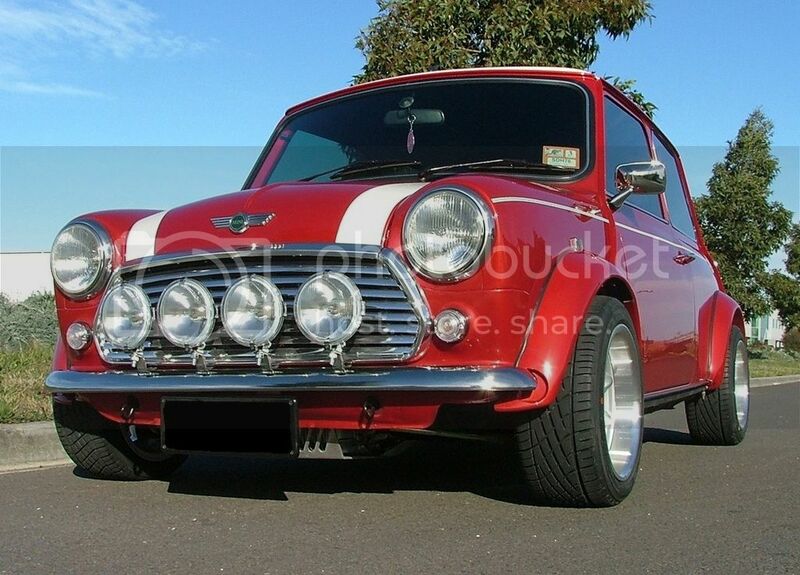 really any mini that has discs on the front should have the 1" spacered rear drum which also need the correct longer studs. My Mini is going to have Sportpack arches and deep dish 13''. So to achieve the kind of look in the pic, Do I need rear drums with spacers or no spacers? When going to spacered drums, do I need to buy longer studs?